As the cost of textbooks has approached the cost of tuition for classes at some institutions of higher education, faculty are taking matters into their own hands, virtually willing an Open Educational Resources movement forward. OER involves replacing textbooks with openly licensed and easily accessible documents and media. Richard Sebastian, Director of Teaching and Learning Technologies for the Virginia Community College System, Prof. Cheryl Huff of Germanna and GCC Instructional Designer Dr. Julie Mersiowsky speak about Open Educational Resources to a group of about 50 faculty members today at GCC. Germanna Community College hosted a two-day OER Academy Thursday and Friday for faculty members from GCC and other colleges in the region. Huff received a grant from the VCCS in 2013 to develop OER for one of her Germanna English classes. Four other Germanna faculty and library staff members received grants for similar projects this spring. As the movement grows, “What we should start to see in increased student success,” said Richard Sebastian, Director of Teaching and Learning Technologies for the Virginia Community College System. Attendees heard that publishers are already moving away from hard cover books in general and textbooks in particular--that they are in reality less and less “publishers” with each passing month and more and more and more digital content services, finding and vetting content. Changing the means of delivery can make it easier for students from families with less financial means to learn, to do well in classes, stay in school and earn degrees. They never finished high school, but they instilled in him belief in the importance of education and the drive to succeed. Germanna Community College student Christopher Henshaw of Culpeper has been chosen for the Virginia’s Community College System’s most elite scholarship. The 19-year-old, whose focus is computer engineering and who graduated from Culpeper High School in 2013, is one of 10 selected by the Virginia Foundation for Community College Education from 23 VCCS schools to be part of the 2014-15 class of Valley Proteins Fellows. The program helps promising second-year students pursue their academic goals and hone their leadership skills. He learned he had been chosen earlier this week. He says he’s excelling academically simply by “doing what my parents taught me,” even though neither graduated from high school. His parents, Robert Woodall and Barbara Woodall of Culpeper, have always stressed the importance of a college education and made his studies a priority. There was never any question in their minds whether he would or should go to college., Henshaw says. His father is a train conductor and his mother had been a truck driver before going on disability. “I want to show them I’m going for it,” he said. Henshaw says a scholarship from Aerojet Rocketdyne last semester obtained through the Germanna Educational Foundation was particularly important because his father missed six months of work after tearing a bicep in November and his mother is disabled. He’s putting himself through college, he said, with help from scholarships and student loans. He works one day a week at a church. The GCC Educational Foundation paid for Henshaw to make a trip to Philadelphia with the Germanna Engineering Club for an American Society of Mechanical Engineers student conference at Drexel University. He watched as four Germanna students who have mentored him won an Unmanned Aerial Vehicle Design competition there, besting major universities including Yale and Drexel. Germanna was the only community college in a field of 18 colleges and universities. The team consisted of Reuben Strangelove, Andy Fabian, Zach Yee and Ethan Fiore. Those four GCC students had worked on the UAV for three months and Strangelove attributed the victory to Germanna simply working harder to prepare than the bigger colleges. He said he’s been surprised by the other engineering students’ willingness to help him. He said he’s been impressed with faculty at Germanna, including engineering Prof. Davyda Hammond,. “Dr. Hammond knows her stuff,” he says. Germanna Community College recognized outstanding efforts by faculty members today during a Faculty Awards event at GCC’s Fredericksburg Campus in Spotsylvania County. Given to the faculty member who demonstrates excellence and outstanding performance, while submitting a proposal explaining an innovative teaching initiative they wish to put into effect in the coming year. The winner receives a stipend for use on related expenses. Prof. Mittura’s proposal involves bringing training for geriatric care providers up to Affordable Care Act standards by creating a Geriatric Center for Excellence. This award goes to the full time faculty member who best exemplifies effectiveness in promoting student success. She has opened labs over the past two months, allowing students extra time for exams and in-class time to learn complicated concepts. She also helps adjunct faculty who need to brush up on their classes. During a recent visit to Blacksburg, students there said Dr. Murphy is the reason they were able to graduate from Virginia Tech. The winner of this award is a full time faculty member who has achieved a significant academic scholarly accomplishment through research, publishing and/or professional presentations, resulting in significant creative work. He has secured a deal for a book about Carl Laemmie, an immigrant who founded Universal Pictures whose humanitarian efforts to save Jews in Nazi Germany are notable. The book will be published in 2016. MacLauchlin has had pieces published in The Daily Beast and The Huffington Post and was nominated for a Virginia Literary Award. Awarded to the member of the full time teaching faculty who has achieved a major accomplishment of significant or world-class quality that furthers the college’s achievement of its strategic priorities. Leigh Hancock diligently works fast and far ahead, tackling the myriad of tasks involved in chairing Germanna’s English Department, one of the college’s largest. She has made connections with Dual Enrollment professors at high schools throughout GCC’s service region. This award recognizes a fulltime faculty member who has greatly impacted the college’s image through community service and/or involvement. Diane Critchfield spearheaded work that made the Inaugural 5K River Run/Walk that raised over $7,000 for the LaZalia Richardson Scholarship Fund a success. The recipient single-handedly set up a Facebook page for the event, established a PayPal account that facilitated online registration, appointed committees to handle t-shirt design, ordering and distribution and personally collected $2,000 by obtaining sponsors. Over 200 people ran in the event, which was a great success for the college, its organizers and future Germanna students who will benefit from funds raised. This award goes to a full time faculty member in no more than their sixth year and in at least their third year of continuous service at Germanna. It acknowledges extraordinary promise. Davyda Hammond has written four grants in the past two years, three of them successful so far. She began the Engineering Club that won a UAV design contest in a field of nearly 20 four-year colleges and universities including Yale and Drexel. She runs a stellar engineering program and is willing to take on any task. Her impact at the college is without immeasurable. This award goes to a full time faculty member who helps our college celebrate the richness of different cultures. She is writing her doctoral dissertation on feminist interpretation of immigrant literature. When she wears her sari to class and sweeps through the halls of the Locust Grove Campus, she represents a positive, real-world role model. Germanna continues longtime nurse pinning rite of passage as student’s brother attends via Google Hangout from N.C.
Germanna Community College nursing and health technology students took part in today’s traditional pinning ceremony at the Fredericksburg Expo Center this afternoon, prior to GCC’s commencement ceremony. The pinning ceremony welcomes graduates into the profession. Nurses then wear the pins to show where they went to college, much as they would college rings. The tradition is believed to have begun at the Nightingale School of Nursing in London in 1860. A crowd of over 1,000 attended the pinning ceremony this afternoon. Over 2,500 attended the commencement ceremony this evening. The lamp lighting ceremony is symbolic tribute to Florence Nightingale, who’s considered the mother of nursing. The Dr. Jane R. Ingalls Professional Excellence Award–Tara Summers. The Dale Featherston Perseverance Award–Stacey Shepherd. The Florence Nightingale Award for LPN students –Matthew Kovach. Below, GCC nursing grad Amy Holman’s brother Aaron Mitchell Holman uses Google Hangout to extend his enthusiastic support for his sister from North Carolina, “attending” the ceremony virtually. He watched the 150-year-old rite of passage and cheered her on remotely via smart phone. There will be a session at the Locust Grove Campus May 28th from 9 a.m.-noon in Room 202. Nursing students are welcome to attend summer ID sessions, but Jennifer St. John of Student Activities has been working with Nursing faculty and staff to have IDs done in the beginning of fall for those starting Allied Health programs. Those who already have Germanna student IDs only need an updated semester sticker from the Welcome Center. Replacement IDs cost $5. Those who use the FredBus need a student ID in order to ride free. Please click here for answers to FAQs about student IDs. Christina Martino says she chose Germanna Community College because students are “not just another number” here. The 20-year-old Martino, who was elected 2013-14 Student Government Association vice president, is a Spotsylvania County native who was home-schooled. She will be the student commencement speaker when she graduates tomorrow during 7 p.m. ceremonies at the Fredericksburg Expo Center and plans to transfer to Liberty University in the fall. Martino is considering going into special education as a career. “I had some experiences in high school working with autistic children and I really enjoyed it,” she said. She cited psychology Prof. Michael Shockey and English Prof. Cheryl Huff as examples of faculty members who provide university- quality instruction with personal attention. “They really care about the students and love their jobs,” Martino said. Congratulations to GCC's 2013-14 Academic Awards winners! Sayed Usman Khalid was a student in my ENG112 class in the fall and is presently a student in my ENG 252 class this spring. Sayed is a most outstanding student. He is always prepared for his classes; his assignments are always submitted on time; and he is a student who spends time with his classmates to help them also improve in their English classes. When Sayed entered my class in September 2013, I recognized what I thought was a student who was quiet and unassuming, speaking with no one in the class. Later, however, when assisting him with one of his essays, I discovered that English is his second language; he is Pakistani. I could not believe him, because he spoke excellent English. Although he had a good command of the English language, he did need assistance in many of the peculiarities demanded by both APA and MLA documentation. He absorbed the information so well over the course of the semester that by the end of the semester, he was turning in almost perfect essays. There is one other very outstanding side to Sayed. In my English 112 classes, I ask my students to team with a classmate to work together and proof each other’s essays. I also schedule a peer review day and a professor review day for their two major essays over the course of the semester. On both occasions, I noticed that Sayed was also assisting other classmates, not just his teammate. For the final essay of the semester, a book review of a pre-selected novel, I noticed that Sayed had a group of four or five students around his desk; he was assisting each of his classmates on grammar and punctuation. Sayed is now in my World Literature class; he continues to shine as a student. His essays are as perfect as they were during the English 112 class. I do not schedule peer review sessions in this class, but I have seen him speak with other students about their essays. He continues to be a very admirable student and invaluable classmate. I understand that Sayed has applied to UMW for fall admission; I wrote a recommendation for him that basically states what I have written. I know that Sayed will succeed. I strongly recommend Sayed as one of the English Award winners for the 2013-2014 year. Vanessa values hard work, and excellence. Her exemplary writing clearly attests to her efforts. In addition, her insightful comments during class discussions enhanced instruction. More importantly, her maturity and concern for others academically and emotionally, permeated her work ethic throughout her English 111 course. Vanessa’s desire to improve her peers’ writing was evident through her personal commitment towards helping others. She would gracefully spend her time assisting other students outside of class hours, so that they could profit from her expertise. A superior student and special human being, I have been fortunate to teach Vanessa at Germanna Community College. I wish her great success in the future. As a student in my online ENG112 Composition II class, Lisa Allen impressed me from the beginning with her diligence, creativity and articulate flair. Her “This I Believe” essay began: “I believe that life without pets would be just a run-on sentence.” The essay is a rich and vivid description of how important pets can be in our lives. Lisa’s essays were always thoughtful and engaging, and she was also a leader in peer editing rough drafts and discussions. Then late in the semester, Lisa wrote to tell me she had been diagnosed with breast cancer, was having surgery, but still intended to finish the class, the semester, and graduate in December with her RN. I worried immediately about the possible stress on her to finish under the circumstances, but Lisa was truly determined. I was diagnosed with breast cancer in February, I immediately thought of Lisa, and her inspiring attitude. She is one of the first people I told, and she sent words of wisdom and encouragement about the experience. I’ll always admire Lisa’s fortitude, courage and academic excellence, and appreciate having had her in my class. one’s favorite author is like no other. During the fall semester of this academic year, my new favorite author mysteriously appeared in the online section of Dual Enrollment English 111. She took me to Italy and shared her observations about the cultural differences she experienced while traveling there; she shared her interpretation of John Steinbeck’s novella, The Pearl, an Alice Walker story, ”Everyday Use,” and “The Lottery” by Shirley Jackson. She compared and contrasted; she explored causes and effects; with a group, she contributed 100 percent to her assigned part of a project and worked extremely well with her fellow group members. Everything I read by her was a riveting, dynamic story; she used words I’d rarely seen, much less spoken; her sentences had a special magic. I shared one of her papers with a University of California professor who said, “If only it were longer.” Indeed. I have never met this student in person because in an online class, the action takes place on the screen, the interaction is via email and discussion board and comments. I have taught English for many, many years, and one of the highlights of my teaching career was reading what Samantha Camilletti -- also known as “Sam Cam” -- wrote last fall in English 111. This evening, Samantha is presented with the newly-named Perry McSherry Dual Enrollment Award for Excellence in English. It is my pleasure to nominate Alexandra Tan for consideration for the English Award. Alexandra is a rarity in the average freshman composition class; she writes at a truly advanced level. My responses to her writing are never corrections of existing problems; instead, my feedback has been about how to make her already strong writing even stronger. She accepts this challenge and her already sophisticated writing has become even more so. Alexandra does not shy away from academic challenges. Recently, she crafted a thoughtful research topic proposal on Sexuality and Video Games; however, her initial research endeavors proved disappointing. There did not appear to be others arguing what she had to say. While Alexandra briefly considered changing topics to something more easily researched, she ultimately decided to stay the course with her original topic. Her perseverance gave us the opportunity to have conversations about how her argument and not those of her sources was what mattered most. With a little work, we were able to find sources that will work as support for her original and interesting argument about the topic. I look forward to reading her final paper. Alexandra’s ability to process complex ideas and theories and then apply them to class discussion or reading demonstrates a critical-thinking aptitude that would do her well in future academic or professional pursuits. I have no doubt that Alexandra will excel at whatever career path she chooses – and I wish her all the best. It is my pleasure to nominate Karlee Simpkins for consideration for the English Award. When I walk into the classroom, one of the first things I do is look to see if Karlee is in attendance (she always is). She is one of those students who engages with the material and with others in the classroom; in other words, she is one of those students with whom classroom interaction is a delight. She is reliably participatory, and almost always has some insight into a reading or pertinent question to raise. Karlee presents her ideas and her opinions in a manner that shows consideration of others, and her participation usually ensures that others will jump into the discussion as well. In Peer Review Sessions, I have noticed that Karlee has a knack for constructive criticism – she responds thoughtfully and with detail to the writing of her peers. She applies the same detail-oriented review to her own writing. Our English 112 class recently tackled a somewhat dense theoretical work. Karlee dove into the work with enthusiasm and was able to take some of the theories about visual and textual rhetoric and apply it to other discussions. As we begin to venture into our final research project, Karlee’s initial work shows that she understands the writing process and the advantage of combining academic and popular sources to help support her original argument. and beyond. I wish her all the best. I would like to nominate Matthew Alexander Abbott for the history award. Matthew has shown a great interest in American history scoring an almost perfect grade in History 121. It is rare that a student receives the grade of 100 on my tests, Matthew has received this grade on a test and on his research paper. He answers questions in class and often greatly adds to the class discussions. I am very pleased to nominate him for this award. He well deserves the recognition. development of human institutions from the Stone Age to the Age of the Enlightenment. Her willingness to contribute to class discussions greatly facilitated attaining learning objectives for the entire class in a manner that respected the dignity and different aptitudes of other students. Ms. Hanson is a great asset to the Germanna Community College community and her future academic and professional accomplishments will undoubtedly reflect great credit upon both this College and the entire Virginia Community College System. Justin Jones completed three of the most difficult MTE modules in under four weeks’ time this spring. He accomplished this feat after completing and passing MTE’s 1-5 during the first four weeks session. He ultimately completed 32 weeks of work in a span of eight weeks. Justin demonstrated a great deal of initiative and determination in completing his work in record time. Jennifer Butler was extremely successful in finishing her MTE classes more quickly than prescribed while facing personal barriers and struggles throughout the year. She never gave up! Jennifer always arrived to class early. She was extremely helpful to other students both in encouraging them and assisting them with their work while working on her own things. Jennifer showed genuine concern for her learning as well as that of others. Victoria Scisco goes over and beyond what a lot of students do. She reads ahead, tries to do her work ahead of time and still takes down all notes from class. She is very efficient and conscientious. Candice Roberts is at the top of the class in Differential Equations. She started at GCC in the summer of 2011 as a 15-year-old homeschool student, taking our Precalculus I class. She is now 18, nearing graduation from high school, and excelling in Differential Equations. She’s friendly and gets along well with her classmates. She’s also brilliant, asks thoughtful questions, and never misses anything. surprised to be doing so well. I don’t think she thought of herself as a math genius, but she certainly performs like one. skills of empathy, respect and genuineness to all that meet him. Rachel Wright is completing her certificate in Paraprofessional Counseling. Her internship with the disAbility Resource Center in Fredericksburg gave her the opportunity to learn about her own skills while also learning about and providing resources for the community. She developed a training program for women’s health issues and disabilities. According to her supervisor at the center “she demonstrated major potential to make an important contribution to this community”. I have had Rachel for three Psychology classes and her work is consistently in the top of her classes. She participates above and beyond the requirements and takes advantage of out of class opportunities to expand her knowledge. In addition, Rachel is a delightful person to know! Addam Baxter is at the top of the three BIO 102 courses taught by Dr. Trudy Witt. He is an outstanding student. He is highly motivated and very serious about his studies. Addam was one of the first students Dr. Witt met this semester, because he came to her office at the first of the semester to introduce himself. He has been at the top of the class all semester despite having surgery. His studies never suffered, he returned to class with all his assignments completed. Addam hopes to attend Virginia Tech next semester. Although he has not decided for sure on a major, he is very interested in Forest Resource Management and hopes to help ensure that our natural resources are conserved for future generations. Blake is an outstanding student. She is enthusiast about biology and shares her enthusiasm with her classmates motivating them to achieve their potential. She is disappointed if we are unable to complete all sections of the laboratory due to time constraints. Megan Harlan has been in my BIO 101 and 102 classes this academic year, and has been an outstanding student. She is always prepared for class, and has volunteered as a note-taker for a student with special accommodations. I do not really need to grade Megan’s exam papers because I know she will always turn in an excellent paper. The other students in her laboratory group must be thankful for her presence, because of her organizational skills in completing the lab exercise. I am certain that Megan will be successful in her endeavors. succeed in Biology, as well as in other courses. This semester her schedule is less compatible with my course schedule, so she is unable to be a regular, visible presence in my classes. Outside the confines of my classroom, Clara’s performance is consistently excellent. This is reflected in her recent induction into Phi Theta Kappa academic honor society. She gets to this level of excellence through hard work and by availing herself of the many academic enrichment opportunities at Germanna. For example Clara utilized the writing center, the tutoring center, online course supplements, formal and informal Study Groups and the Germanna library. This allows her to ramp up her learning and deepen her knowledge base while earning top grades. listed as a top 500 science blog and invited to review papers. Not bad for a college sophomore. 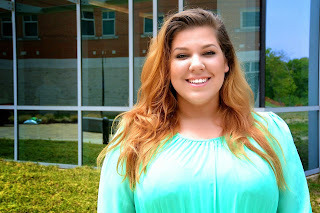 ethic, enthusiasm and pursuit of future goals make her a worthy candidate for a Germanna Student Award for overall student well-being. During the fall 2013 semester (BIO 101 lecture and lab courses) she demonstrated excellent performance (the top of the class), exceptional knowledge of the subject beyond the curriculum and genuine interest in biological science. Lyndsie Jessee was selected by the dental hygiene faculty for the Golden Scaler Award based on her clinical achievement. Toni Cantillon was nominated for the Student Total Achievement Recognition Award is funded by Colgate Oral Pharmaceuticals. This award is for the student who demonstrates true dedication to the dental hygiene profession, exhibits compassion in patient care, displays enthusiasm for community service, and enjoys the role of the dental hygienist. The recipient is not necessarily the strongest academically or clinically but will make a positive contribution to the dental hygiene profession. The recipient will receive an award certificate and have their name inscribed on a school plaque. Amy Caywood was nominated for the Lynn Garris-Sheldon Community Service Award for her demonstration superior client interaction and community involvement. She organized and volunteered for many community events. She will have her name inscribed on a school plaque at the Locust Grove Campus. Conchetta “Shemel” Brevard was nominated for the Virginia Dental Hygienists’ Assn. annual student award. This award is based on the student’s scholastic ability, clinical proficiency, and professional contributions. Additionally, the recipient of this award must be a student who will be practicing in the Commonwealth of Virginia for at least the first year of employment. The student’s membership dues for their first year of American Dental Hygienists’ Association Membership will be paid for by the VDHA. Alexandra is enrolled in Lifetime Fitness and Wellness this semester. Over the course of the semester Alex was a regular and active participant in both class discussions and activities. She was attentive and receptive, demonstrating critical thinking skills and asking questions to delve deeper into the areas of exercise and nutrition. She was able to demonstrate her applied knowledge through self-reflective assignments, showing the relationship between lifestyle choices and health outcomes and is a leader in modeling positive health habits. Veteran, Rhys distinguished himself as a leader for the Navy and Marine Corps health care team as a Navy Corpsman. He is trained as an EMT and works as an ER tech in the Sentara Health Care System. He has applied to the UVA RN to BSN program for this fall. The Dr. Jane R. Ingalls Professional Excellence award is given to Tara Summers. Tara has overcome many personal obstacles to complete her RN degree. She has served as an informal leader while at Germanna, quietly assisting her classmates and mentoring those students coming behind her, preparing them for the expectations in the last semester of their program. In the clinical setting, she has displayed caring and compassion to her patients and serves as an example of a selfless team member to her classmates. The Mary Blessing Gilkey Spirit award is given to Rebecca Weigeshoff. As the leader of the winning first place team “RN’d and Dangerous” at the Nursing NCLEX Bowl this spring, she was the example of positive energy. Always smiling, Rebecca has demonstrated tremendous spirit during her time in the nursing program. She has overcome obstacles with persistence and confidence in order to see her own dreams become a reality. She embodies caring, excitement, and enthusiasm for the nursing profession. Rebecca plans to complete her BSN in the very near future and will be an asset to the nursing profession as she moves forward. The Dale Featherston Perseverance award is given to Stacey Shepherd. Stacey has overcome tremendous personal obstacles to achieve what she has today. Stacey has demonstrated extreme perseverance, dedication, focus, and enthusiasm in pursuing her nursing education. Stacey shows an attitude of caring and is a leader among her peers. Her commitment to the profession of nursing should be an example for all students. Stacey will be an asset to the profession of nursing. The Martha Jackson Mentorship award for spring 2014 is given to Allison Mann. This award is given to the student whom the faculty feels best demonstrates the caring compassion for classmates and teamwork throughout their program. Allison has been a dedicated student at GCC with an earned GPA of 3.52. In her college career with coursework at several colleges and universities through the years, Allison has a quiet confidence that allows her to help others in their quest to be a nurse. Germanna is fortunate to have her as graduate of our nursing program. The Florence Nightingale Award is voted upon by the class for the peer whom they feel epitomizes “The Nurse”. The Florence Nightingale winner for the RN class of spring 2014 is Elizabeth D’Sani. Lisa has juggled family and school while working as an LPN. One of her classmates shared that “Lisa is an amazing LPN and is such a joy to watch during clinical. To me she was born to be a nurse. Everywhere we go, former patients and family members recognize Lisa and stop her and say hello and hug her. She is incredible.” The rest of her classmates agree. The LaSalla-Henry Award is given by the Greater Fredericksburg Area chapter of the American Association of Critical Care Nurse to the rising second year student in memory of two wonderful critical care nurses. This award is given to Hector Nunez. Hector is a proud United States Marine Corps combat veteran who served in both Afghanistan and Iraq. He is a father of 6 and a dedicated and engaged student who aspires to emergency room or Intensive Care nursing. We look forward to working with Hector as he finished his RN degree at Germanna. sent to our troops overseas. Jennifer has always had a passion for serving the needs of our military as she has several service men and women she writes to regularly. She also devotes time to elderly patients at a local nursing home. The Florence Nightingale Award is voted upon by a student’s peers. The Florence Nightingale Award for the LPN class of 2014 is Matthew Kovach. Matt has brightened the mood of his fellow classmates with his witty humor and pep talks throughout his time in the PN program. Not only is he giving to his fellow students, but he volunteers his time to those in need at a local soup kitchen. Matt continues to encourage and support his classmates when they are in need. doubt make an excellent nurse. Brian has been my student in both semesters of Principles of Accounting and has done exceptionally well academically in both courses. I am particularly impressed with Brian’s willingness to grapple with problems until he thoroughly understands them and to go far beyond doing just enough to score well on a test. He has volunteered for extra work on several occasions and regularly stays after class to discuss an issue that is troubling him. I met Keith last semester when he enrolled in the fall ADJ courses. I noticed right away that Keith was a motivated student and scholar. With a 4.0 average to date, Keith is an outstanding student. But more than that, I noticed how engaged he was in class. He came to class ready to comment on the subject matter by ensuring that he kept up with the weekly readings. He worked well within his group and individually which can be difficult. He was always quick to point out to me if a quiz question was lacking clarity or assignment was unclear, all of which I found helpful. His attitude towards the school work and life in general was always so pleasant and positive. I found him to be a role model for all. Mr. Soto who has a GPA of 4.0 has taken several classes with me. He has been a pleasure to work with. His work is always top notch and he always works well with the other students. Presently, he is taking courses at ODU. He will continue to take courses here at GCC as a distance learning student. I met Mr. Bui earlier this year when he enrolled in ADJ 201 for the 8w1 course. It was a very fast spaced course. Mr. Bui was having some difficulties adjusting to taking such a rigorous course load. However, he did not give up. He really worked hard. He asked questions for clarification as he does now. I admire his tenacity. I spoke with another one of his instructors who repeated what I stated earlier, that he works hard and she has seen a tremendous amount of improvement. I hope he will continue his progression upwards and never lose his positive spirit. I know he will do just fine. While Germanna is fortunate to have many very talented art students, Kristin Grant already is a “real” artist. In addition to producing a large portfolio of quality paintings, she created all her art marketing materials on her own initiative, including posters, signs, and painting labels for each art show she entered; business cards; and her own artworks web page. She already participates in area juried art shows and art events, including the Small Painting Juried Show, LibertyTown Arts Workshop; Backdoor Gallery Group Show, and Art Attack, an event promoting fine arts in Fredericksburg. She was one of the featured Germanna artists at the March 2014 Studio A Show and the November 2013 Lions Club Annual Art & Wine Show, where she sold eight paintings in one evening. Kristin works equally hard at her studies and maintains a 3.88 grade average. She is the last student to leave art class, using every minute to refine her quirky imagery that combines realism with elements of whimsy, fantasy and horror. Professional, diligent, independent, and imaginative, Kristin Grant is the outstanding Art Student of the Year for Fine Arts. Dante Benton never uses his traumatic brain injury sustained while a Marine serving our country as an excuse for not doing his work. Rather, he overcomes his memory processing difficulties with a steadfast effort that is a positive example to his classmates. personal advisor to other students as he strives to learn, improve, and express himself as a graphic artist. He greatly deserves the title of Art Student of the Year for Graphics Communications. As an adult student, Angela truly knows the value of an education, and she does not take classes only for the grade to be awarded, but for the learning that should occur during the course. She is always prepared for class and can always be counted on to ask provocative and content related questions. Her life experiences make her a valuable addition to the class. Her writing and verbal skills are excellent, and she is a great role model to the other students in the class. Bridget is a longtime owner/operator of a family day care center. Her program reflects a caring, nurturing environment utilizing best practices for supporting critical early education activities for emerging literacy. Bridget is committed to her ongoing professional development and regularly attends early childhood workshops and conferences. As a student she generously shares her time and expertise by mentoring fellow students. In addition to balancing family, academics, and operating a business, Bridget is faithful volunteer for early childhood community events. students and to her Head Start co-workers. Downs Syndrome. This is especially important to her since her little sister has Downs Syndrome. Just a couple weeks ago Jennifer won the Germanna student talent show contest!!! She is an asset to Germanna and it would be fitting to recognize her as one of our outstanding students. Mr. Jake Greathouse is being recognized as the 2014 Best Mechanical Engineering Student. Jake chose to major in engineering because having all of his studies centered around calculus was a dream come true for him. Jake stands out among his peers for his outstanding achievements in his math, science and engineering courses evident by his 3.673 GPA. In addition to his studies, Jake works as a server at Vinny’s Italian Grill. He admits that: “In the beginning it was pretty difficult to keep up with school work, seeing that I was always exhausted from many hours at work. So I made the decision to make school my top priority and cut back my time at Vinny’s.” His passion for the engineering field and his dedication to his engineering studies are reflected in his financial choices. While working at Vinny’s, he has saved up over $10,000 to pay for his classes at Virginia Tech beginning in fall 2014. We are very proud of Jake and confident that he will excel as he continues his studies at Virginia Tech. Mr. Kevin Riley is being recognized as the 2014 Best Electrical Engineering Student. Kevin Riley is a part-time student who has a 4.0 GPA. He works full-time for the U.S. Navy at Dahlgren as an electronics technician, supporting Electromagnetic Environmental Effects (E3) testing to ensure safe operation of the equipment used by the U.S. military. In this role, he maintains and repairs electromagnetic transmitters, designs and develops unique electromagnetic measurement equipment, and performs E3 testing. Prior to working for the Navy, Kevin was an automotive technician. Kevin moved to Virginia from Massachusetts in 2006, and he and his wife live in King George with their foxhound. Mr. Vincent Adkins is being recognized as the 2014 Best First-Year Engineering Student. Vincent spent six years in the U.S. Navy as an Electronics Technician prior to his Germanna studies. While in the Navy, his primary focus was on the operation and maintenance of surface search and air search systems along with various navigational GPS programs. While pursuing his engineering studies at Germanna, Vincent works at Warplay Paintball on the weekends – a sport he has been playing since 7 years of age. Vincent is pursuing his Associates degree in Electrical Engineering and maintains an impressive 3.917 GPA. Upon completion of his Germanna studies, Vincent plans to transfer to Virginia Tech to double major in Electrical Engineering and Mathematics while also trying to fit in some classes in Education to possibly become a professor one day. Vincent’s nomination was provided by the engineering programming professor, Dr. Amy O’Brien, who had these words to share: “Vincent Adkins is an outstanding engineering student. His attendance record is excellent; he is always engaged and attentive; and he participates in every class. He always goes above and beyond in level of effort in all assignments and quizzes--consistently turning in extra credit assignments and completing all assignments with great attention to detail--and his grades have all been excellent. He is going to be an outstanding engineer!” We are proud to have Vincent as part of our Engineering program, and we expect him to continue his excellent record in his second-year coursework. David Henry is completing the Career Studies Certificate in Horticulture and has maintained a 4.0 grade point average throughout the program. He is an outstanding student who is always well prepared for exams, and has completed a number of projects that have been very well done. David has been able to apply his horticultural knowledge to the horticultural therapy program that he directs for young boys in a residential program. I am certain that they have benefited from his enthusiasm and knowledge. In addition to technical excellence, Jennifer has a great eye for design as evidenced by the Web Site project she implemented. She is the type of student that takes what she learns in class, applies it to her assignments, but will then search for ways to learn about and apply more esoteric concepts that most students shy away from. Selection was based on scores earned in the All-USA Academic Team competition. The program is sponsored by the Coca-Cola Scholars Foundation and is administered by Phi Theta Kappa Honor Society. 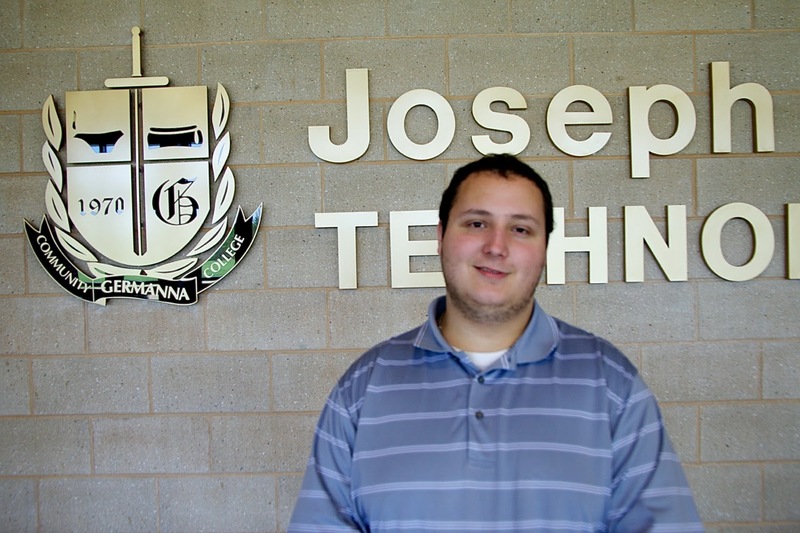 Stefano serves as a student ambassador at Germanna. He has a 4.0 GPA and was selected a 2014 Coca-Cola Community College Academic Team Silver Scholar! Stefano hopes to attend Cornell University to study environmental science. and vision screening of middle school children. Spanish, and Portuguese will be an asset. Jennifer is a second-year RN student maintaining a 3.98 GPA. She expects to pursue a BSN.